Visit any U.S. Brooks Brothers retail store in the U.S. and receive 50% discounts on selected men's and women's clearance styles. The final collection black fleece now available with 60% discount. Plus, apply now for a Brooks Brothers Platinum Mastercard and receive 2,016 bonus points. Brooks Brothers Platinum Platinum Mastercard must be approved to receive bonus points. Source of the information is Brooks Brothers. Offer is time limited. 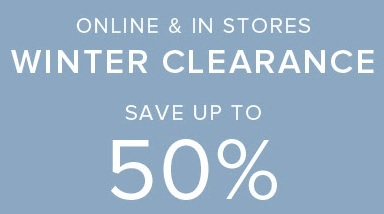 For more details visit any U.S. Brooks Brothers retail store.